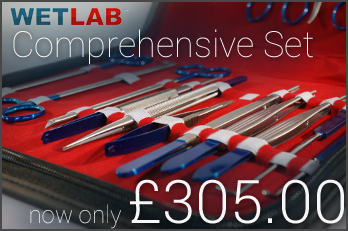 Wetlab have put together several instrument sets allowing delegates to own all the instruments required to practice various surgical procedures in there own time. All instruments are CE approved. Other instruments available to special order prices on request.